Customize entire divider using a ballpoint pen or pencil. Dividers are reusable by erasing and writing again. Durable plastic for frequent referencing. Customize entire divider using a ballpoint pen or pencil. 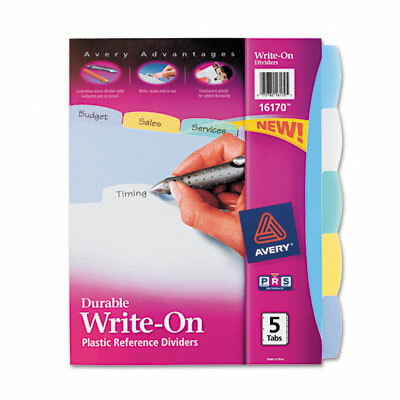 Dividers are reusable by erasing and writing again. Durable plastic for frequent referencing. Three-hole punched for use in standard ring binders. Bigger tabs provide 50% more writing space.